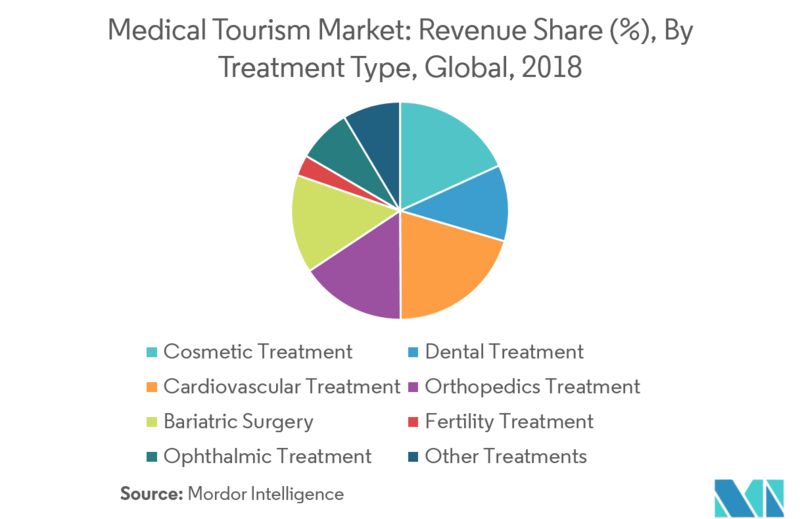 The Global Medical Tourism Market is segmented by Treatment Type (Cosmetic Treatment, Dental Treatment, Cardiovascular Treatment, Orthopedics Treatment, Bariatric Treatment, Fertility Treatment, Ophthalmic Treatment, and Other Treatments) and Geography. 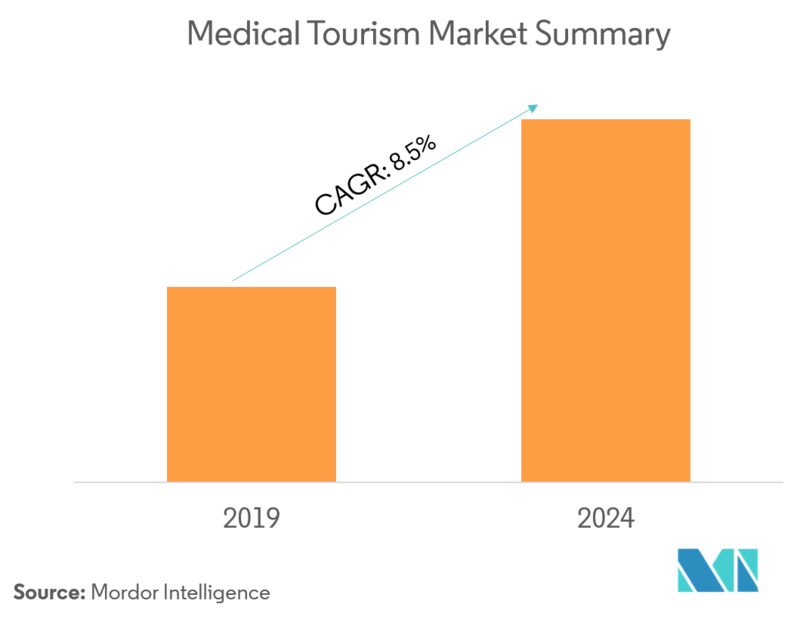 The global medical tourism market was valued at USD 16,761 million in 2018, and it is expected to reach USD 27,247.6 million by 2024, while registering a CAGR of 8.5% during the forecast period, 2019-2023. The factors associated with the growth of the market include higher treatment cost in developed countries, availability of the latest medical technologies, growing compliance on international quality standards, high quality of service, health insurance portability, and advertising and marketing of the medical tourism. The cost of undergoing medical treatment in a developed country is very high. It is estimated that although the treatments are of reliable quality, the procedures tend to be on the expensive side. Along with this, the major healthcare products are also quite extravagantly priced. This scenario places a big burden on the healthcare systems, worldwide, accompanied by the additional rising costs of litigation during recent times. Healthcare practitioners need to be aware of both the direct and indirect costs and consider how the implementation of prevention protocols may offer cost savings in the longer term. People in developed countries cannot afford the huge expenditure associated with medical treatments. Not all medical bills are covered by insurance companies, which makes the patients turn to countries abroad. Countries in Asia, the Middle East, and South America provide high-quality medical services at a much lower rate, as compared to the developed economies. There are companies that cater to all the medical and non-medical needs of the tourist during their travel. As per the scope of the report, medical tourism is an improvement of the healthcare system, which provides quality medical care to people seeking treatment. Patients travel to other countries for obtaining good medical treatment. The Asia-Pacific region currently dominates the medical tourism market and it is expected to continue its stronghold for a few more years. This region is expected to increase its market share in the future, owing to the raised preference of medical tourism across the developing countries of this region. China holds the majority of the market in the Asia-Pacific region. This is due to the lower cost of the treatment in China and the better healthcare services provided. 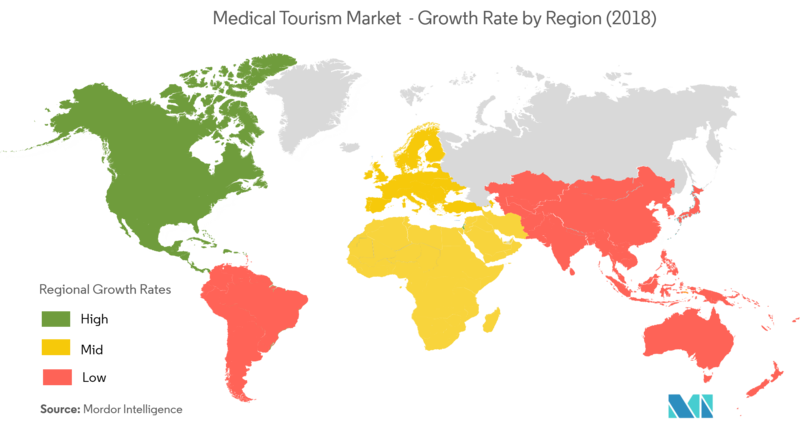 The global medical tourism market is moderately competitive and consists of several major players. In terms of market share, few of the major players currently dominate the market. However, with technological advancement and quality service provision, mid-size to smaller companies are increasing their market presence by introducing new products with fewer prices. 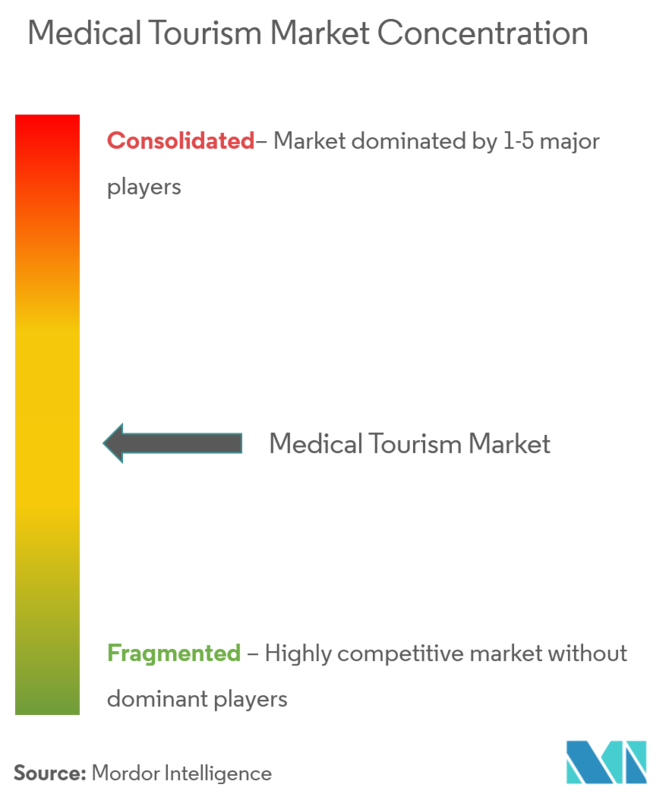 Companies, like Healthbase, Apollo Hospitals, KPJ Healthcare, and Klinikum Medical Link hold the significant market share in the medical tourism market.